Teachers, take heart! In less than two months, you’ll be free. 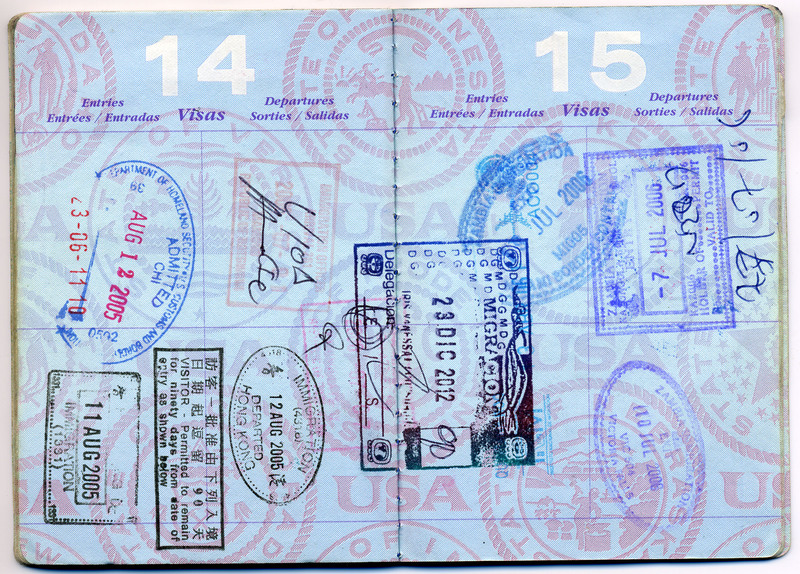 Time to add new stamps to your collection! — And those hours of grading? No grading to see here! 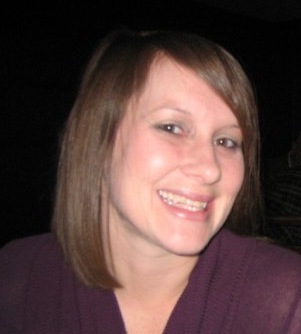 And for another boost to cap off Teacher Appreciation Week, check out Thank-a-teacher.org. It’s an app for sending teachers thank-you notes created by engineering students at Olin College! I discovered it via Twitter amid all the #thankateacher tweets. Amen! And let’s keep the good vibes going: please send me any thank-you notes you’ve received. I’d love to publish them! 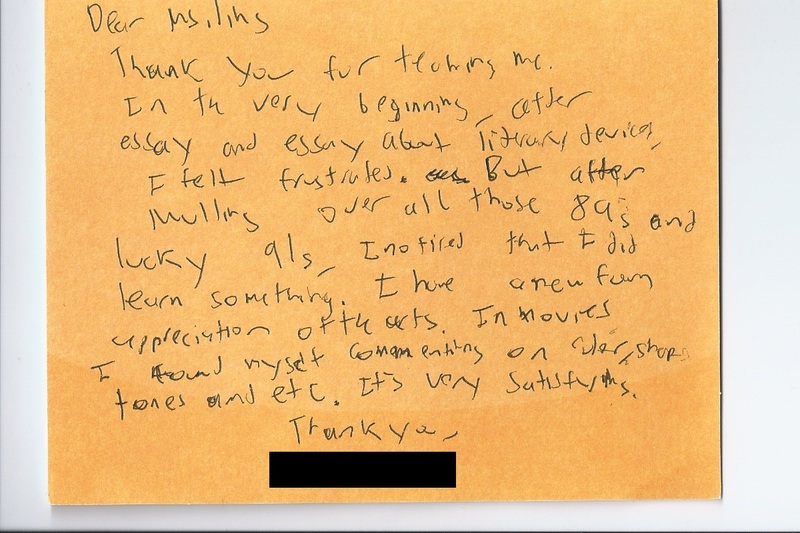 Got my first thank-you letter submission of the summer, and boy, is it a tough act to follow. It’s basically every English teacher’s dream for her students: that they become passionate, prolific readers; sincere, reflective writers; and critical thinkers about themselves and the world. I couldn’t help but think of Taylor Mali’s famous, “What Teachers Make” in titling this post. 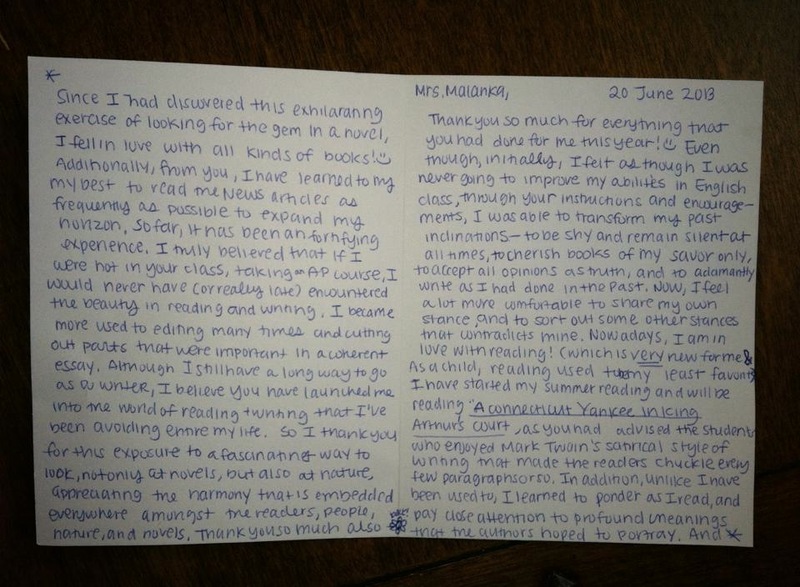 Thank you to my old colleague Lauren for sharing this letter, and for being the amazing teacher who passed on a “rare and precious inheritance” to this student! 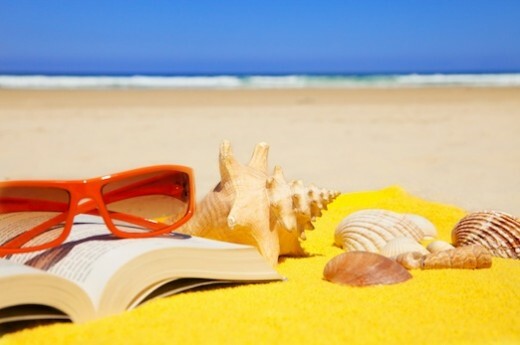 Have a great summer, and I will keep in touch! Thank you! *The student also gave her a cool feather pen along with the card. 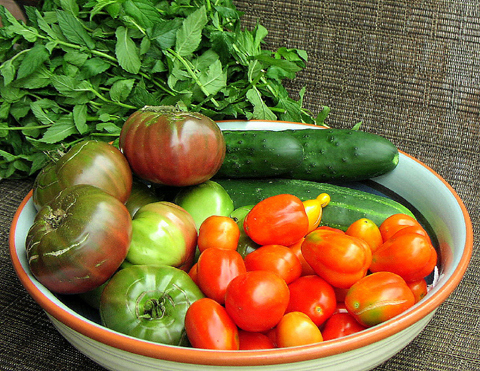 Happy Friday and happy summer! Celebrate the occasion with me by sending your thank-you letters to teachers. Let’s give those teachers who still have a few days of school left (I’m looking at you, New York metro area) a boost, too. 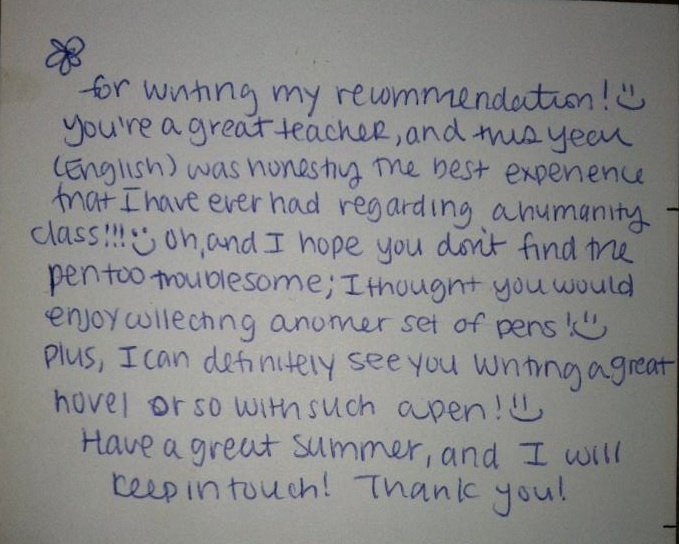 Maybe you received a handwritten note from a student on the last day of school that made you smile and tear up a bit. 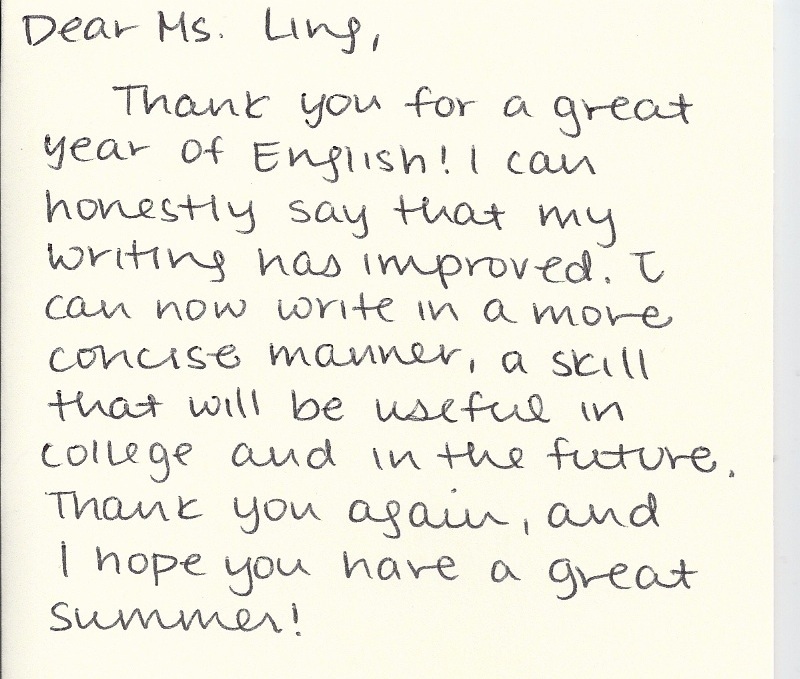 Maybe this letter reaffirmed why you’ve worked so hard this year. 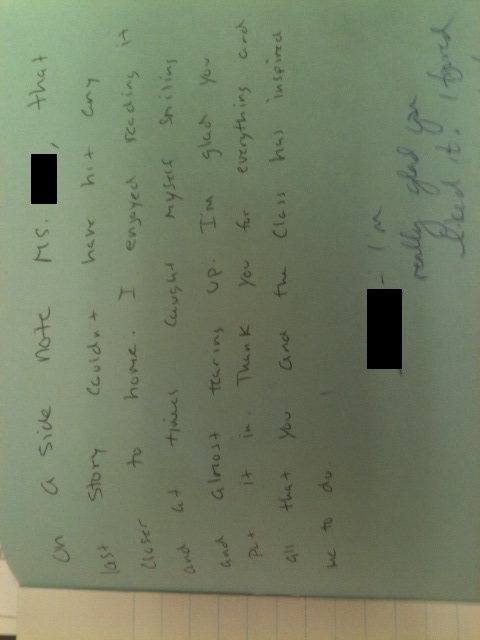 Maybe you’re the student who wrote that note by hand to express your gratitude for how much you’ve discovered this year because of that one teacher. The College Board can’t touch this. And, to get the ball rolling, here’s a letter I saved from a few years back. 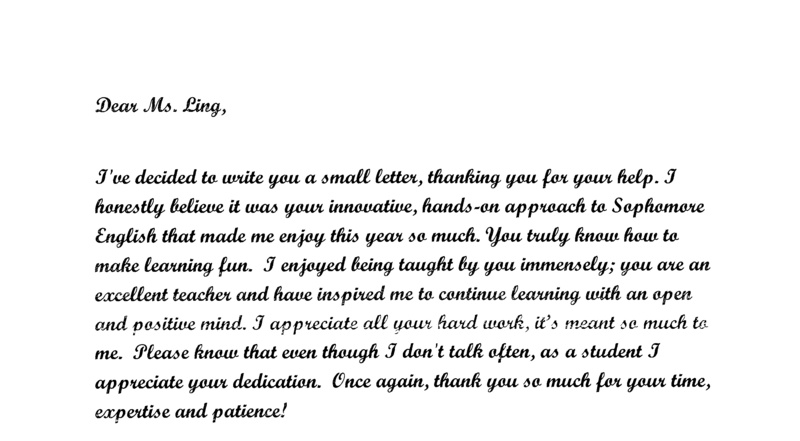 Though it’s not handwritten, I still appreciate its sincerity, and the way this quiet student spoke to me through writing. Having been a quiet student myself, I can understand how not speaking does not necessarily mean students are not engaged or thinking. I’ve got about a week before school starts, while many other teachers are already back in the classroom. 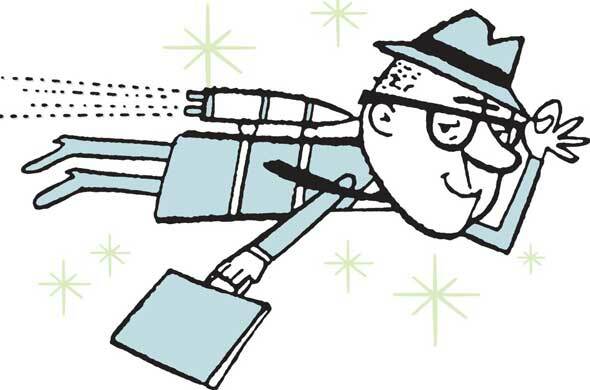 Here’s a “jet pack” from Molly Rankin, an English teacher at Prosser Career Academy, a Chicago public school. Molly also leads her school’s chapter of OneGoal, a program that aims to get at-risk students with leadership potential into four-year colleges. 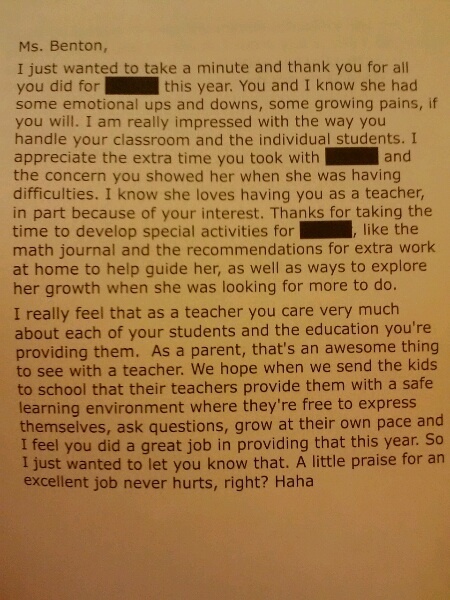 This letter shows how teachers often provide vital emotional support in addition to academic instruction – and reminds me once more that student progress cannot be measured in grades or test scores alone. Hope it gives you a small boost for your first days of school. 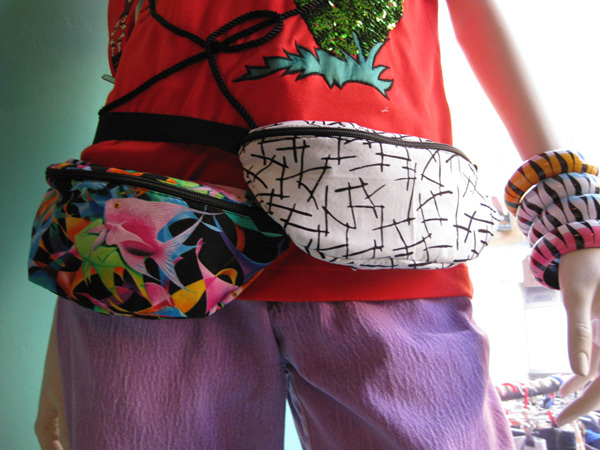 And please – send in more jet packs! The school year is at an end and did in fact end the way I wanted it to. I know that D’s aren’t what I should be aiming for, however in the situation I’m in now, they are acceptable. I passed mostly all of my classes (even MR. F’s class) and I am very proud of myself, and I want to thank you for helping me pick my head back up. You made sure that I didn’t ever give up on school. You came to every meeting that Ms. S and Mr. C held on behalf of my grades, and you were with me every step of the way. You made me work as hard as I could and motivated me all of the way. You made sure that my situation did not discourage me from being at school and scolded me when I needed it. You and my mom were literally the main two people I did not want to disappoint at the end of the school year (also Mr. C). Without your help I really believe I wouldn’t have made it this far, and I’m glad even when I was screwing up you still believed in me and that’s all I needed. Thank you so much for putting time in to support me when you already have a heavy load on your hands. You just don’t know how grateful I am and this note still don’t describe how I feel, but it is a summary. Have a great summer. 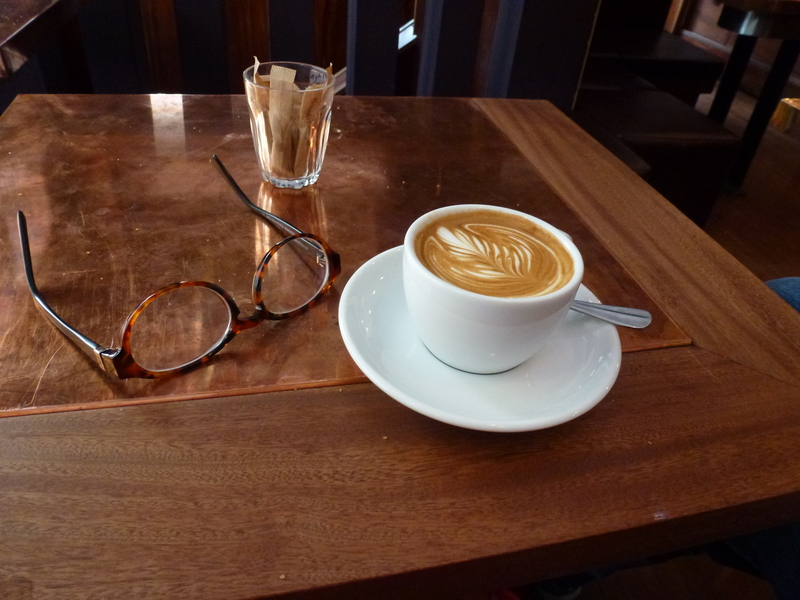 Speak to you soon… BYE and thanks! Last year, I began teaching AP Literature, an experience that’s been both rewarding and stressful. It’s a privilege to work with smart, highly motivated students, and I’ve loved rediscovering stories like Hamlet and Great Expectations through class discussion and student writing. I’m more ambivalent about The Test: How much time should I spend on practice exams? What do students’ scores really mean, and how much should I care? If they score poorly, does that mean I’ve failed as a teacher? I’ve been harping on concision all year (“It’s fluff! 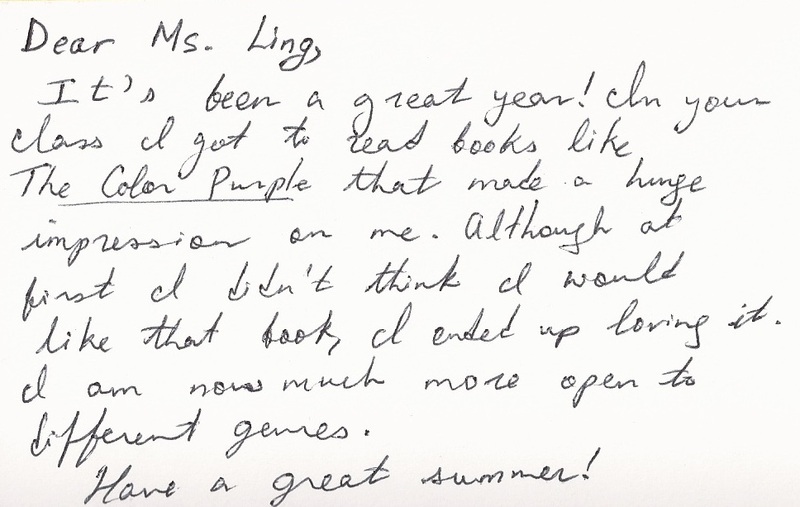 Get rid of it!”), and The Color Purple was a summer reading novel that many students had not initially enjoyed, so to hear two students make positive connections to this work was energizing. The College Board, which administers the AP exams, and Race to the Top, which ties teacher evaluation to test scores, are incapable of measuring many of the positive changes we make. Teachers, please help me broaden the definitions of successful teaching and learning. I’d never thought of myself as part of that “small group.” Despite six years of teaching, it has often been hard for me to notice tangible, positive results. It’s been much easier to dread a meeting with a difficult parent, or feel guilty about a class that didn’t do well on an exam. Since I started the blog four days ago, though, I’m learning to notice all the “thoughtful, committed” teachers around me in finer detail. I’m beginning to think differently about the impact of my small actions, too. Dear –, I’m so happy this year. You are funny. I like you so much. I don’t know how to say…just thank you. Teachers often “change worlds” — students’ worlds and their own worlds — through their “thoughtful, committed” actions. 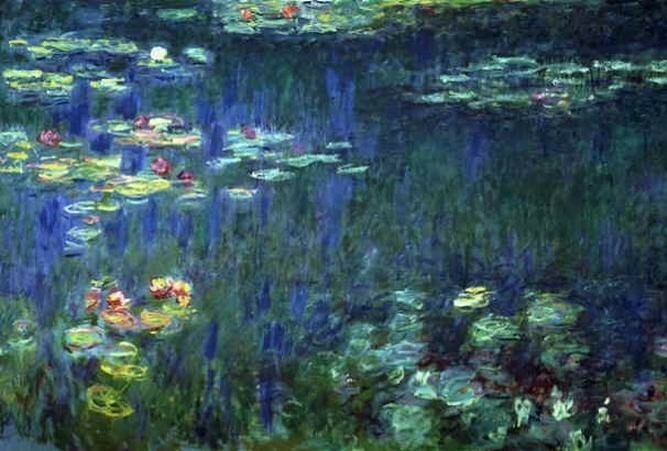 Like the brushstrokes in Monet’s Water Lilies, we need to acknowledge these moments as parts of a powerful whole, however tiny they may seem in isolation. To help celebrate, here are two letters to teachers. I hope you enjoy them and consider submitting your own. Teachers, I’d love to publish the most memorable ones you’ve received. On a side note Ms. ___, that last story couldn’t have hit any closer to home. I enjoyed reading it and at times caught myself smiling and almost tearing up. I’m glad you put it in. Thank you for everything and all that you and the class has inspired me to do. The story was “Refresh, Refresh” by Benjamin Percy. I just read it, and it’s fantastic. Thank you for teaching me. In the beginning, after essay and essay about literary devices, I felt frustrated. But after mulling over all those 89s and lucky 91s, I noticed that I did learn something. 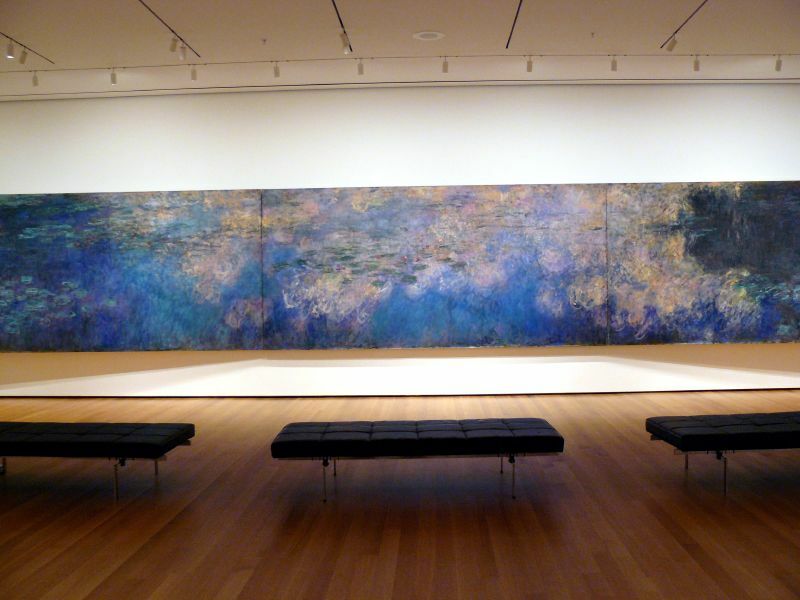 I have a newfound appreciation of the arts. In movies I found myself commenting on color, (?) tones and etc. It’s very satisfying. Thank you, –.